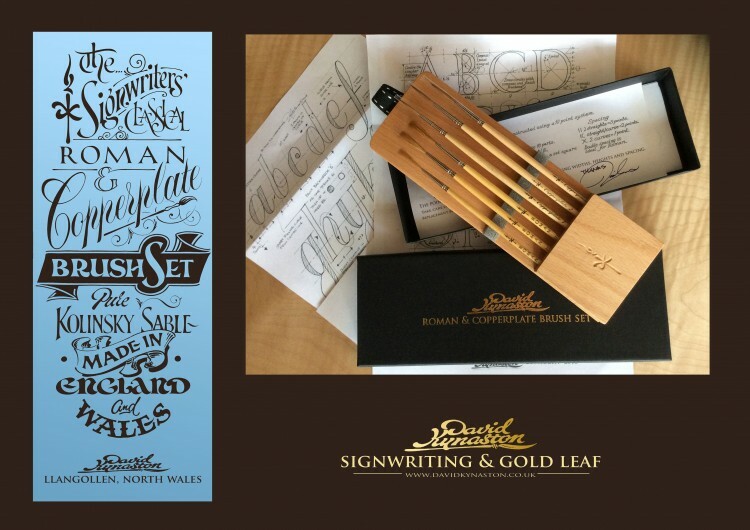 This beautiful handmade brush set from signwriter David Kynaston has been tailor made for Roman and Copperplate lettering, and comes in a stunning handmade display and carry box, crafted by David himself. 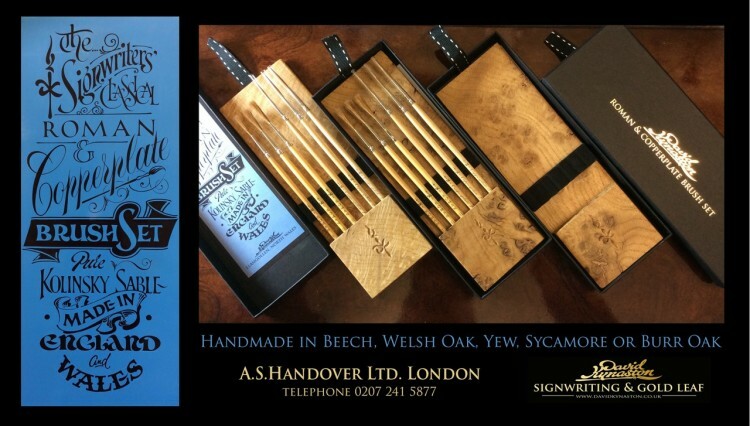 - A plaster, as you're sure to cut yourself on the sharp edges you'll be painting! 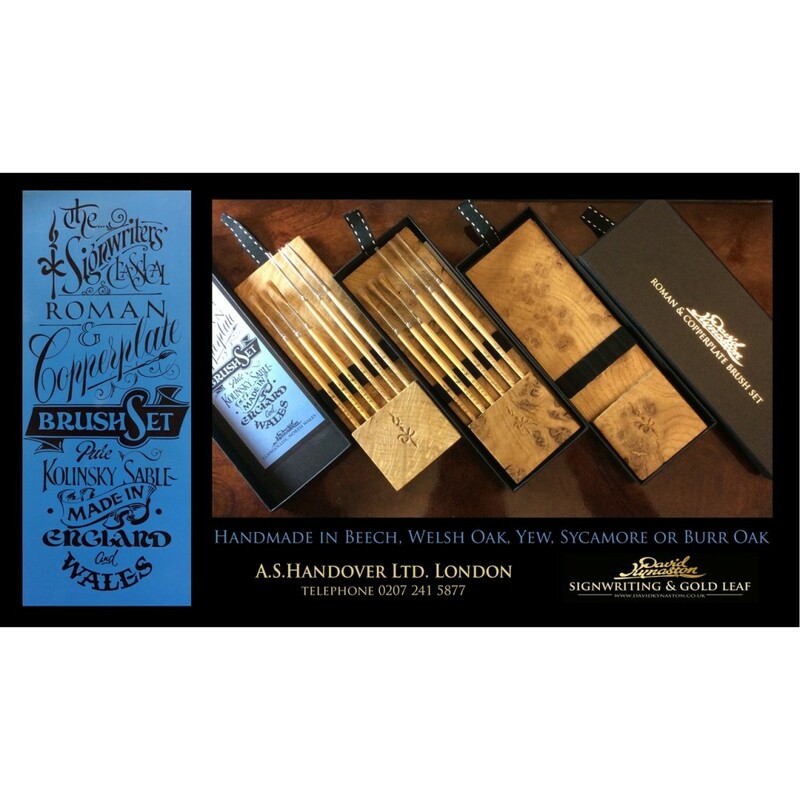 If you need replacement brushes, or would like to choose a specific type of wood for the brush case, please call us on 0207 241 5877 or email sales@handover.co.uk.